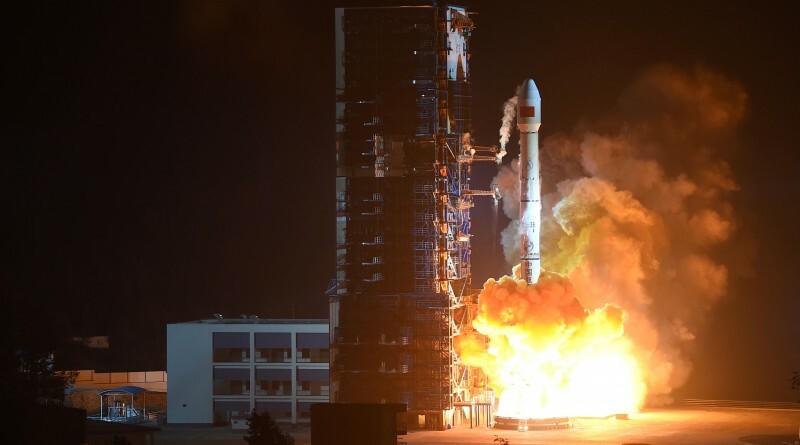 The CZ-3B rocket made a post midnight liftoff at 0:46 UTC local time on Thursday, 16:46 UTC on Wednesday, blasting off from the Xichang Satellite launch Center under the power of its four boosters and large core stage to head down the standard south-easterly launch path. Marking a new record, China launched six Long March 3B rockets in a period of less than three months, owed to the standardization of launch pads to be compatible with all versions of the Long March 3 family as well as the new streamlined manufacturing process as all CZ-3B rockets now use the stretched boosters and core stage instead of launchers being tailored to payload requirements which complicated the overall manufacturing process. Heading to the south-east, the 56-meter tall rocket fired its boosters for 140 seconds before they dropped away from the core stage which itself continued burning for another 18 seconds before separating from the second stage, also using hypergolic propellants. The second stage fired for nearly three minutes, handing off to the cryogenic third stage of the rocket. Igniting on its first burn, the third stage of the rocket delivered the stack into a Low Earth Parking Orbit under 200 Kilometers in altitude for a coast phase of 11 minutes so that the second burn could center the equator passage in order to place the high point over the equator. The second burn of the third stage raised the apogee of the orbit to Geostationary altitude and placed the apogee location above the equator to ease the process of transferring the satellite to Geostationary Orbit. Spacecraft separation occurred 26 minutes after liftoff, though official confirmation of launch success was not available several hours after Chinasat-1C was deployed. 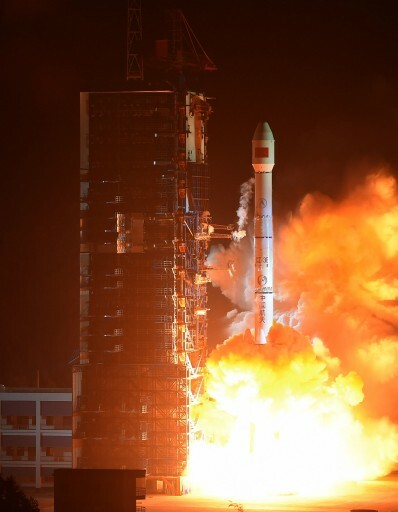 ChinaSat-1C is the second satellite in the second generation of Fenghuo Tactical Communications Satellites that provide communications in the form of secure data and voice links between ground terminals including mobile systems operating in the UHF frequency range. 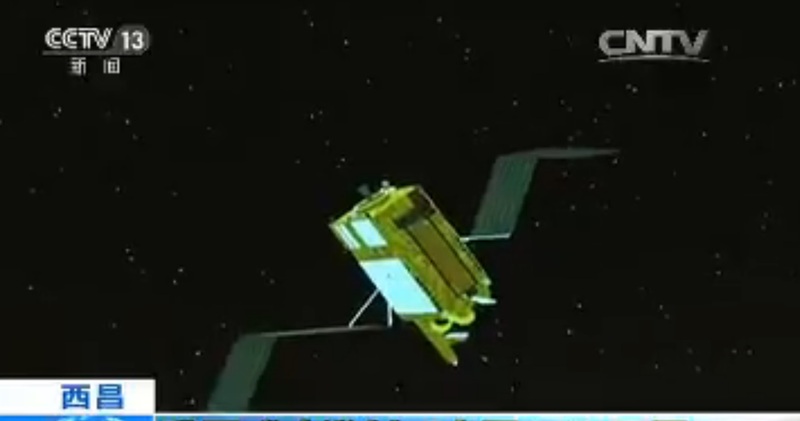 Based on the DFH-4 satellite platform, the spacecraft will make its climb into Geostationary Orbit in the coming days.